I understand how to litigate important cases against large firms and protect your rights. In business disputes, being right is often not enough. When in doubt, look for a Talisman. Schedule a free initial consultation with an experienced attorney serving Santa Monica and its surrounding areas by calling our firm today: (310) 917-1027. You can also reach us online to make an appointment. All communications between our firm and any potential client remain confidential. As a former Navy pilot who learned to practice law working for national/international law firms in Los Angeles and New York, attorney Don Chomiak has the “big firm” legal skills necessary to prevail over parties represented by large law firms. He does it at a small firm price. 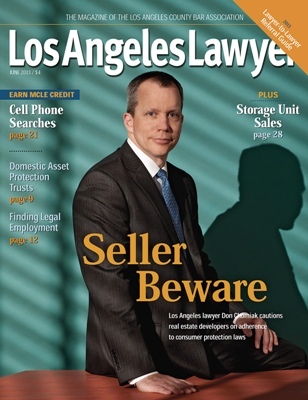 For this reason, clients throughout the state of California turn to Talisman Law for legal guidance concerning their most complicated and difficult real estate and business matters. Our clients reside in cities throughout the state of California, including San Francisco, Los Angeles, San Jose, San Diego and resort communities, including Mammoth and Napa. These clients know when they retain Talisman Law they are retaining a firm dedicated to prompt client access and aggressive legal solutions. We provide these solutions in a cost-effective manner tailored to the confidential needs of each particular client. Talisman Law, P.C., serves Los Angeles, and many other areas in California, including Santa Monica, Burbank, Beverly Hills, Culver City, Marina Del Rey, Malibu, San Francisco, San Jose, Santa Clara, Santa Barbara, Long Beach, San Diego, Lake Tahoe, Sacramento, Pacific Palisades, Napa, Los Angeles County, Orange County, Ventura County, Santa Barbara County, Kern County, San Francisco County, San Mateo County, Santa Cruz County, and all of Southern California.